Sometimes dentures break and you need it repaired fast, as it affects daily tasks. 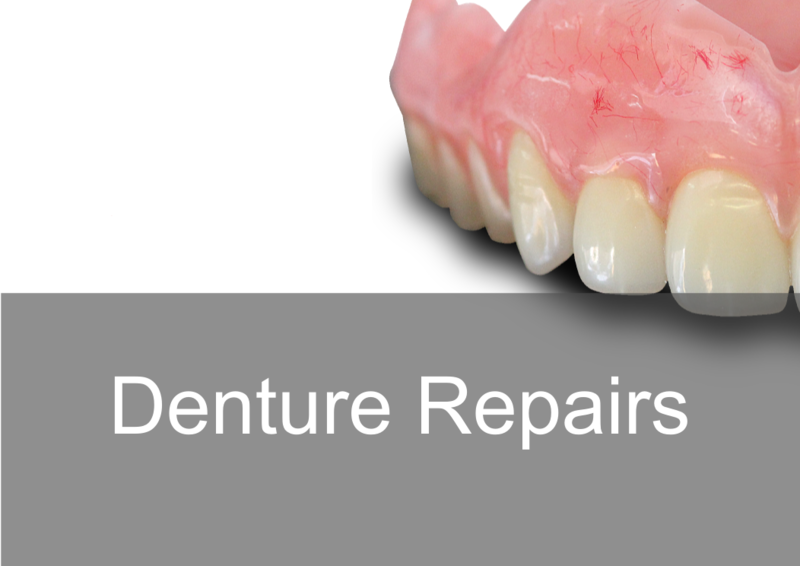 We can fix your broken dentures within the same day. There are many reasons why dentures fracture, you will need a Dental Professional to examine the fracture first, provide an assessment and estimate the cost of your repair. Excessive wear after many years of denture use. Dentures that are not stable and are ill fitting. Hard contact on dentures via hard foods or teeth. Fatigue on acrylic continued by flexing on the gums. Excessive bleaching from denture cleaning products. Chewed by a dog , dropped on the floor or water basin and accidentally sitting on them. We do not modify/alter the fit or bite of your dentures other than the fractured area. We use the latest acrylic materials to repair your denture, this creates a stronger repair to repair your denture together. We are therefore unable to offer any guarantees against future fractures and would always advise to treat a repair as a temporary measure until you have a new set of dentures made. Call us today on 0208 520 8528 and book an appointment (Mon - Fri, 8am - 3pm Last appointment).